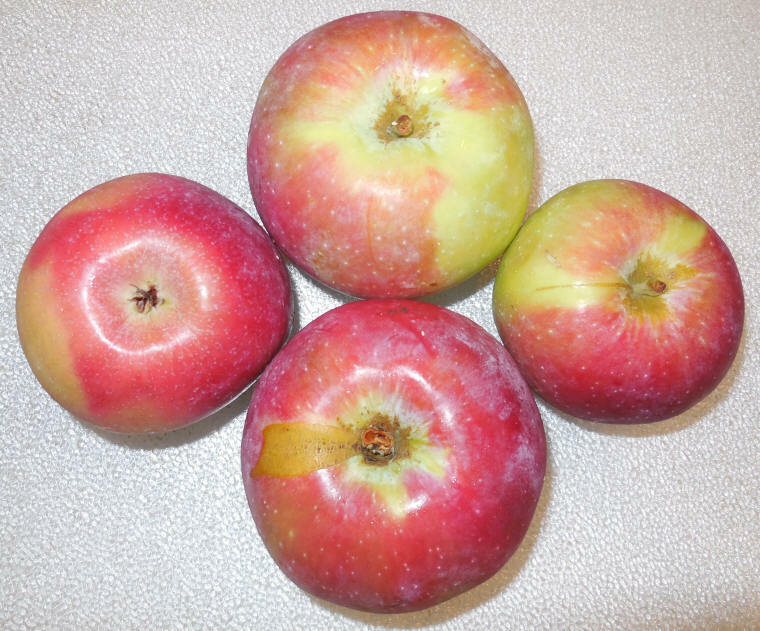 Jersey Mac apples are a sweet/tart crisp early variety, and like all early varieties, they need to be kept refrigerated in order to keep their crispness. They are a medium-sized mostly red apple with splashes of greenish-yellow. Jersey macs are a great eating apple, either plain or cut on a salad, and can be baked in a pie or made into apple sauce. We could not find any specific nutritional information for Jersey Mac apples. See: Apples, Gala for general apple nutritional information.